Is there anything more adorable than a bunny? There is now! This simple tutorial will teach you how to make super cute treat bags for all the little ones in your life. 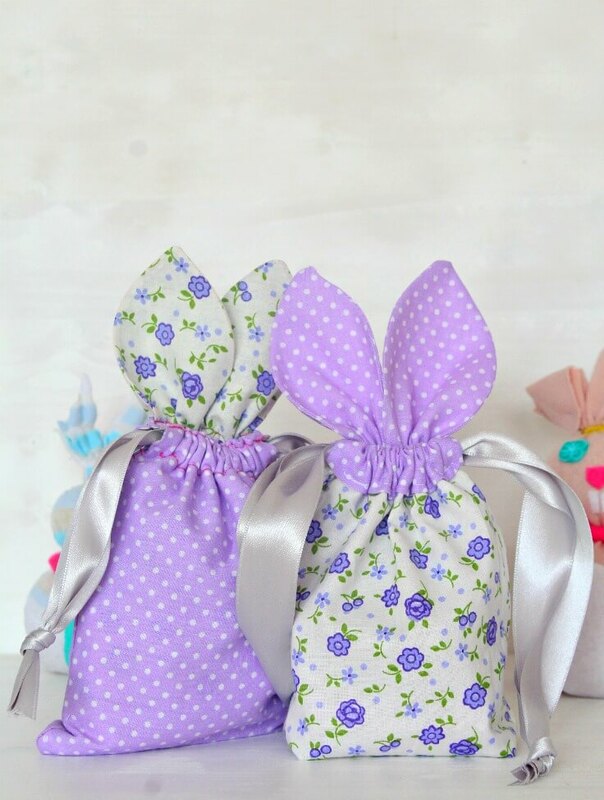 These Easter treat bags are so easy and fun to make, you’ll find yourself whipping up a whole bunch of them in less than an hour! 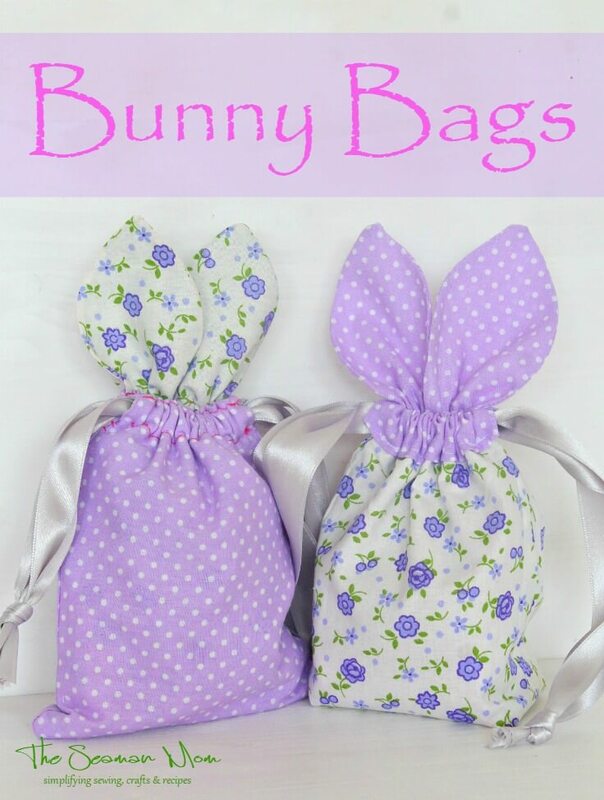 This bunny bag tutorial is not only a quick sew up but also super enjoyable! 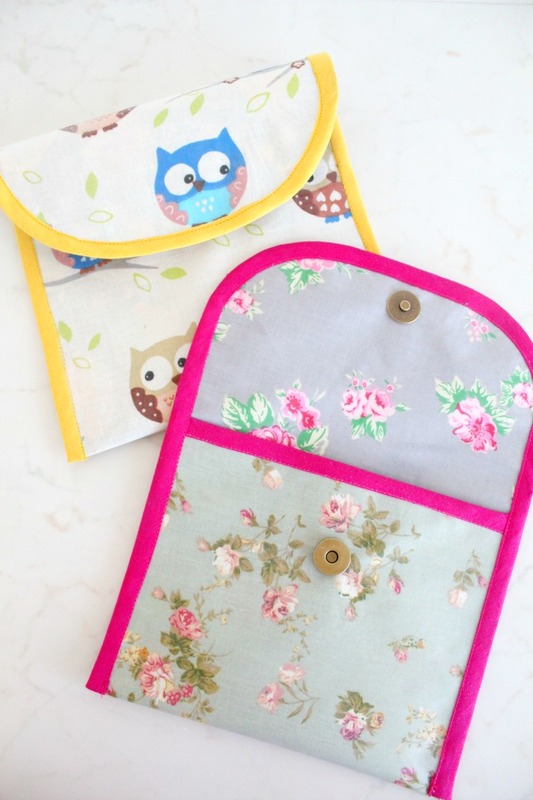 You’ll find yourself smiling throughout the whole process cause these bags are just too adorable!! And imagine them filled up with treats, in the Easter basket! Your little ones will be squealing in delight! 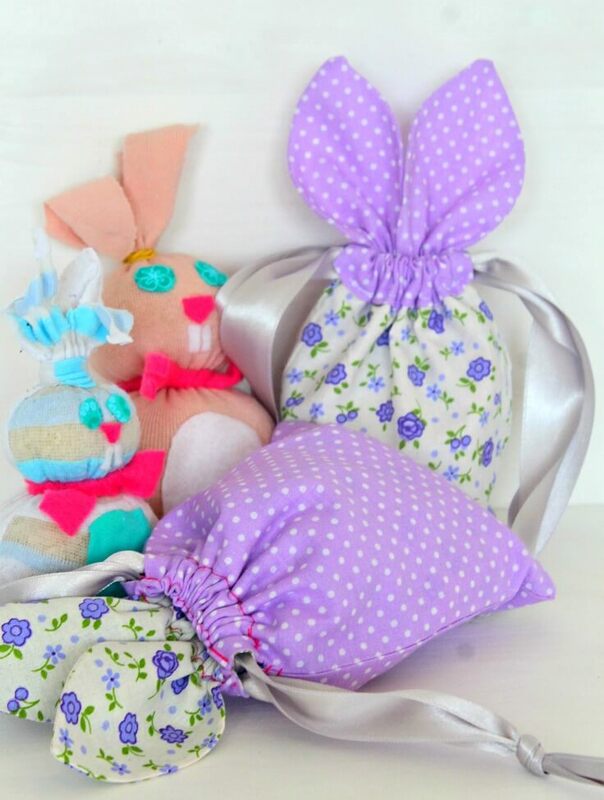 These cuties are also perfect as Easter gift bags or as snack bags. Mark 2″ down from top corner, on both sides. Place a pin where you marked then pin the fabrics all around, between those 2 pins (sides and bottom). 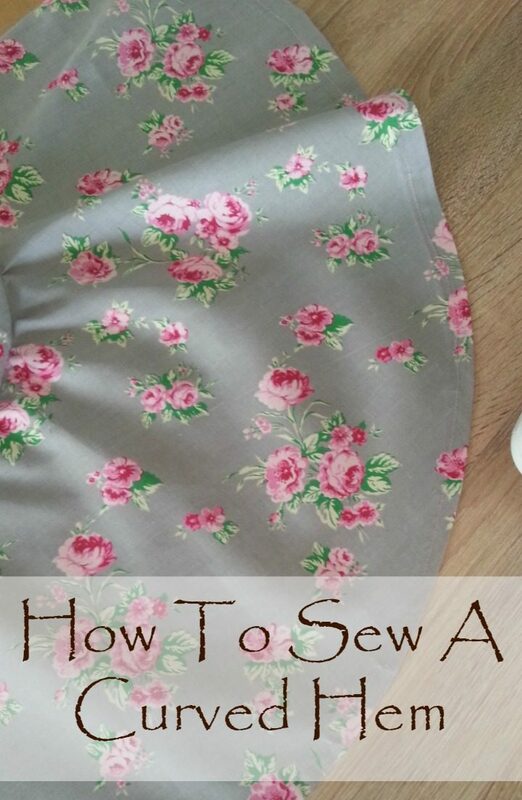 Sew down the pinned area. Repeat for the lining but leave a gap in the bottom to turn the bag right side out (RSO) later on. Box the corners if you wish or just leave the corners flat. I did both. If you decide to box the corners, follow the method here or here. Fold the flaps and place the outer bag and lining “face to face”. Match the top flaps RST, pinning at the sides. Sew around both flaps, sides and top. Backstitch at start and finish. Take care not to sew into the existing seam. 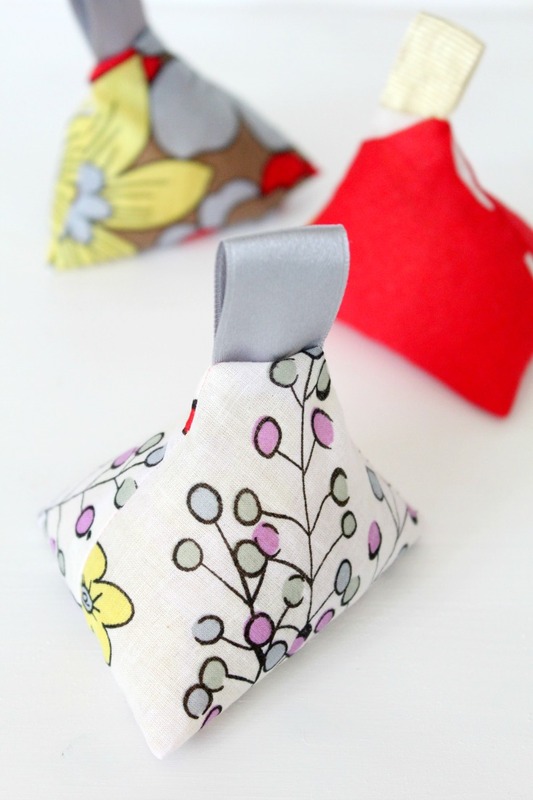 Turn bag RSO through the gap in the lining, fold the fabric at the gap inside and do an edgestitch then press the bag. Push the lining inside the outer bag then make the ears. 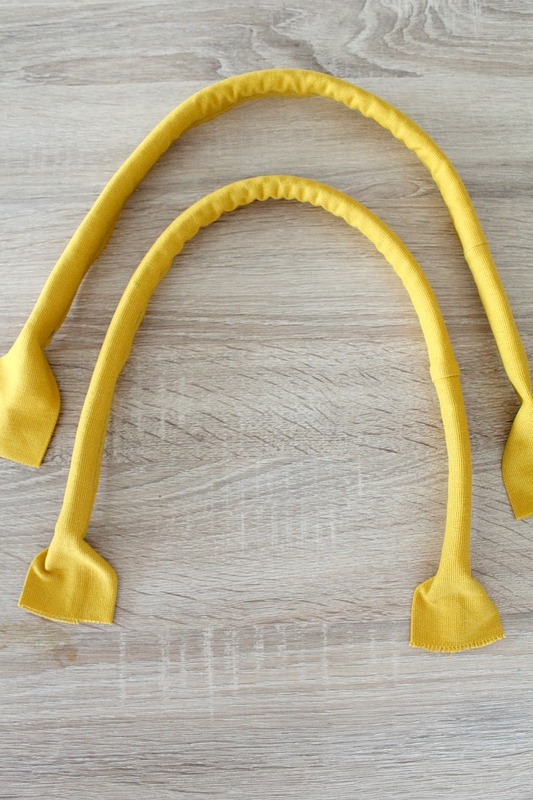 Using the ears template, draw an ear onto the wrong sides of the ear fabrics. Iron the interfacing onto the wrong sides of 2 ear fabrics. Place one ear with interfacing and one ear without interfacing, RST and sew down the template, leaving the bottom open. Trim off the excess fabric and turn ears RSO through the bottom. Arrange the ears on the bag. Fold one flap towards you and place ears on the remaining flap, in the middle. Pin and sew down. Flip ears up, pin and sew down the top of the flap, backstitching start and finish. 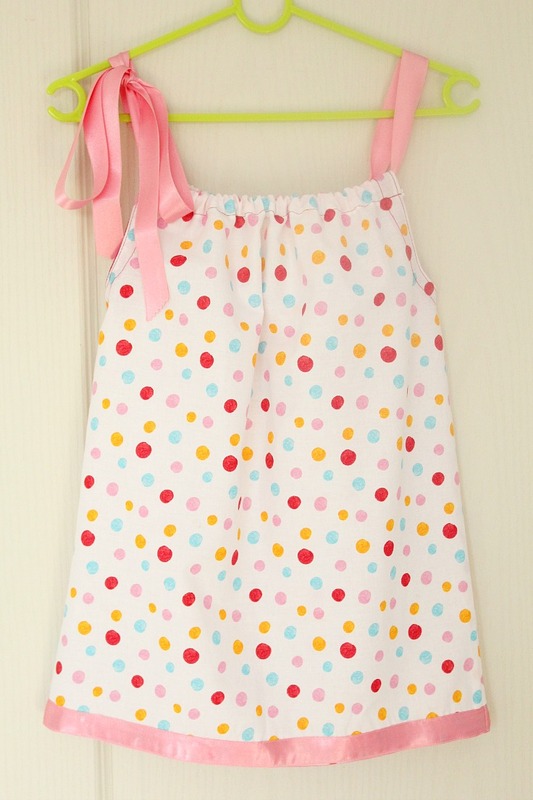 Take 1 ribbon and attach a safety pin to one end. Pass through both channels made in the flaps until it comes out the same side where you started. Knot ribbon ends together. Repeat with the other ribbon but starting from the opposite side. 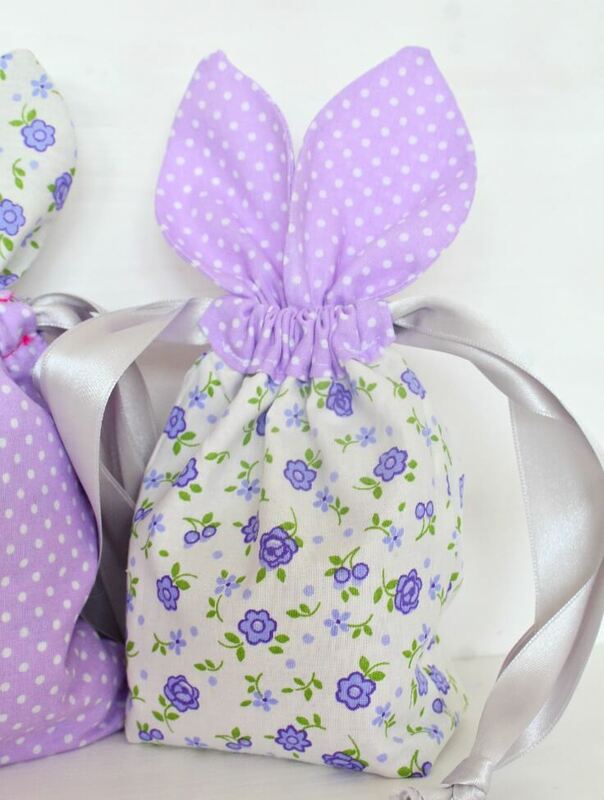 Now just pull the ribbons to close your bunny bag and you’re done!